Remember how Sumo Digital kept dropping hints that they really wanted to do a fighting game? Looks like it was an idea which was seriously being considered if this discovery is anything to go by. 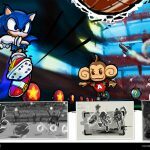 A design company by the name of Funsolve recently uploaded a bunch of concept art images for a number of Sega games, including the House of The Dead Overkill, Sonic & Sega All Stars Racing Transformed and more interestingly, two completely unknown All-Stars concepts, All Stars Brawl & All Stars Football. The football concept is exactly what you would think, the Sega All Stars playing football with the trademark weapons being used during the game. The brawl one however is the more interesting concept, with Super Sonic used to show the characters can fly around the stage as well as stand on platforms using power ups and throwing objects at opponents. 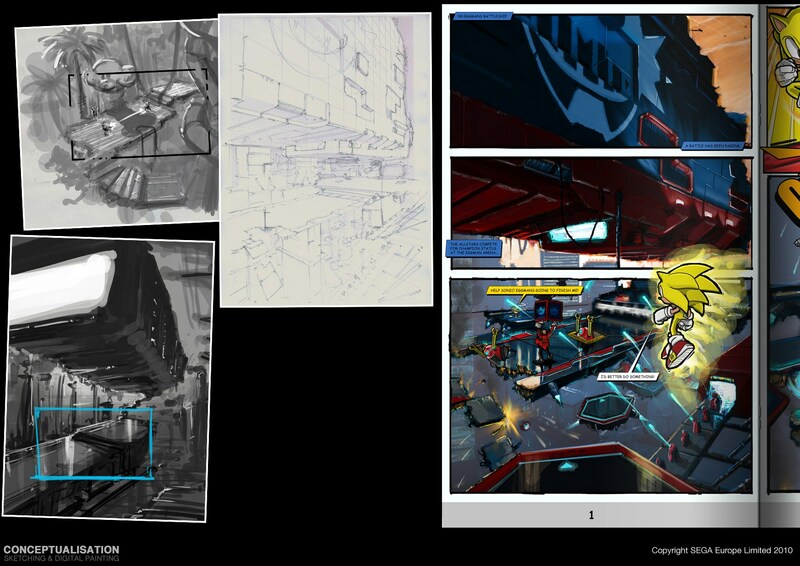 One annoying part of the concept art is that the brawl concept art was laid out like a comic book… only the second part of it is cut off and we really want to see how that fight was going to turn out. 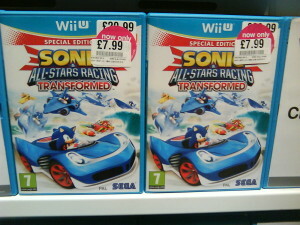 Sonic & All Stars Racing Transformed is an awesome racing game. Even with the release of Wii U’s Mario Kart 8 it remains my favorite mascot racer thanks to its balanced, more skill-focused game play, well-designed transformation mechanic and spectacular track design. Sonic Stadium already has a pretty awesome, in-depth review which you can read here, so I’m not really going to go too in depth about the game itself. Instead, this review will be focusing on how well (or poorly) the Vita port realizes a game meant for considerably more powerful hardware. 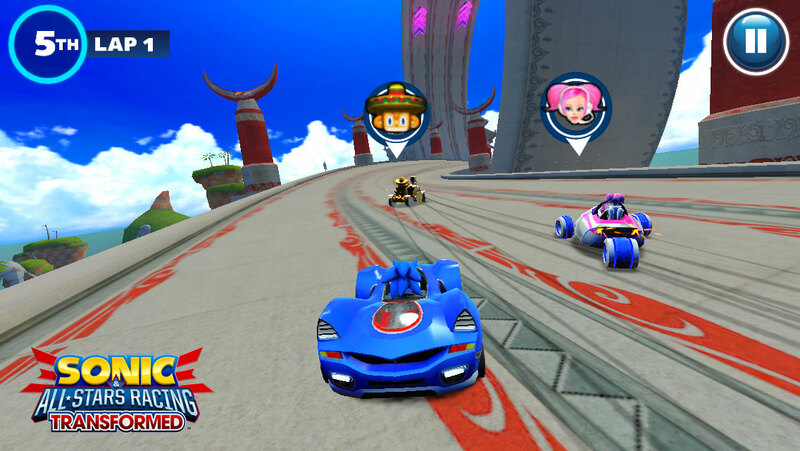 In terms of speed and game play, All Stars Racing Transformed is a nearly flawless translation of its console counterparts. The creative, huge courses are all here with their epic set pieces and scripted moments unblemished. If anything has been compromised during porting, it certainly isn’t noticeable. The NiGHTS stage is stilled filled with enemies and rings, the Skies of Arcadia stage still finishes with an epic fleet battle and they are still sights to behold. 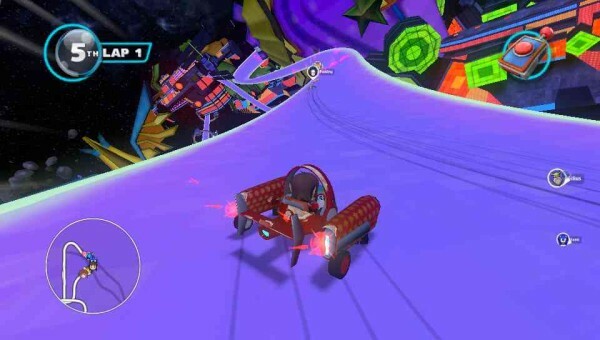 All of All Stars Racing Transformed’s racing mechanics have always been faithfully brought over, with all the speed and drifting mechanics from the console versions intact. Still, this game isn’t a one-hundred percent accurate conversion, as there are some minor issues and noticeable downgrades from the HD versions. In terms of controls, things can get a little cramped thanks to the Vita’s small form factor. All Stars Racing Transformed is a game that relies heavily on drifting for building speed and getting around turns, so you may be reaching for those trigger buttons a little more than you’d like to. Still, after logging dozens of hours on this version of the game I found this to be only a minor issue. 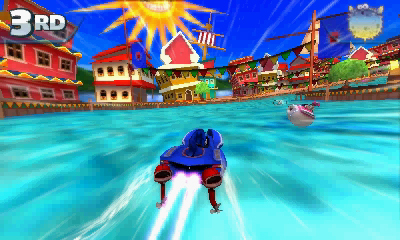 The game’s physics have always taken a serious hit, especially in the water stages. 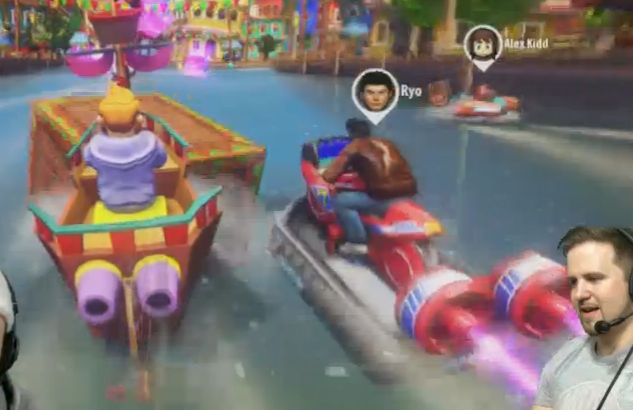 Waves are no longer as large and bouncy in this version and areas where huge waves once tossed racers are now nothing more than minor nuisances. The loss of wave physics make the races a little less chaotic and exciting than they used to be. The most noticeable difference lies in the graphics. The textures have been downgraded significantly. They now look much flatter and contain less detail. Lighting and various other effects have either been severely reduced or removed entirely, making it a little more difficult to see in some of the darker stages and making the entire game look considerably less flashy overall. I am happy to say that as of this review the frame rate is no longer a problem: even in the busier stages the game runs smoothly and the hiccups that were prevalent in even the HD versions are nowhere to be seen here. Though really, the downgraded visuals are not only expected, but they do very little to damper the fun. The game runs well on the Vita and nothing of value has been lost. What you trade in visuals you gain in portability, as this is pretty much the same exact game, shrunk down to a device you can take anywhere. If this is the price for a portable All Stars Racing Transformed, I am more than willing to pay it. 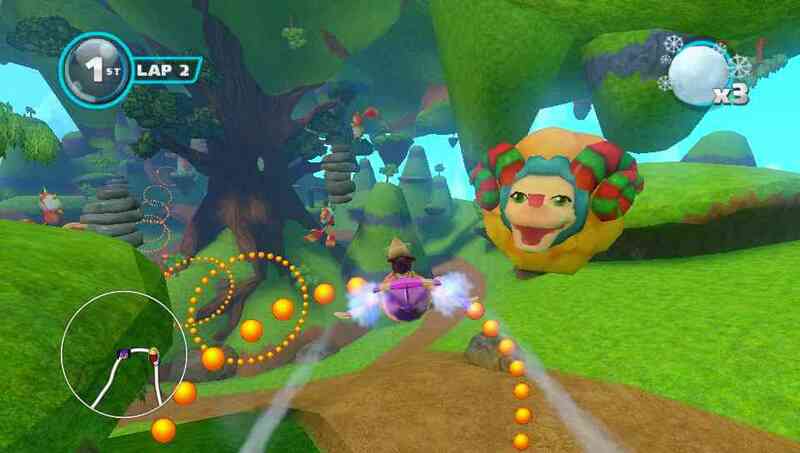 All Stars Racing Transformed for the Vita is far from the definitive version, but it is worth owning if portability is attractive to you. It has to cut some corners, but in the end it provides the best portableY mascot racer money can buy, cutting out some of the flash while leaving in all the meat. So whether you want to fight off the boredom during summer travel or if you just want to be able to play this awesome racer any time you want, this game comes with high recommendations. Just keep in mind that it doesn’t quite live up to its HD brothers. Aw yeah, this is happenin’! Though there is no confirmation as to which platforms outside of PC will be receiving this, if any, it has nonetheless been revealed through the recent Yogscast Humble Bundle charity stream that Ryō Hazuki of the Dreamcast cult classic Shenmue series will be hitting the streets of Sonic & All-Stars Racing Transformed in the near future! 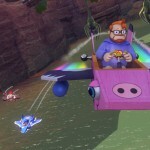 In November of last year, Steve “S0L” Lycett of SUMO Digital had challenged fans to vote among a slew of SEGA characters to decide a top three for ASRT DLC coming down the line. Since then, a number of exclusive characters, mainly from SEGA’s own PC-centric titles, have found their way into the PC version of the game, but Ryō, who won by a landslide of 3379 votes, marks himself as the first DLC character to have come as a result of the community polls. We’ll keep you posted once word has come as to what platforms Ryō is expected to arrive on, and when! Now let’s see, who were the runners-up again…? 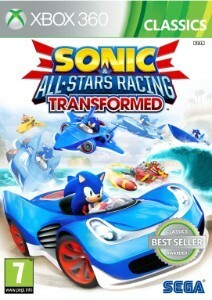 The Xbox 360 version of Sonic & All-Stars Racing Transformed has quietly become a best seller in Europe and joined the Xbox 360 Classics range. According to Sainsbury’s Entertainment, the Classics edition was released October 10th of this year. Some games are born great, but only the best become classics. That’s what the Xbox Classics range is all about; legendary titles, the toughest heroes and heroines, the best online experience with Xbox Live – and all for an amazing price. 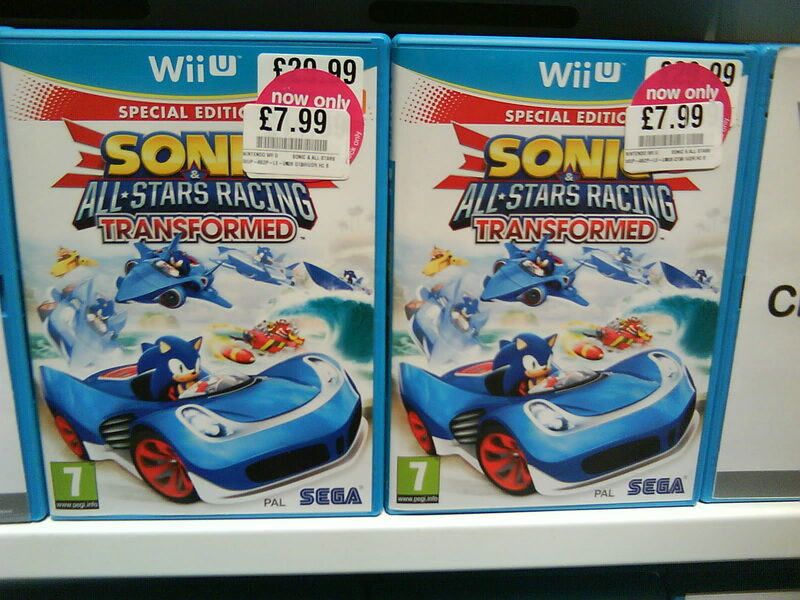 At the time of publication, Sonic & All-Stars Racing Transformed is available at Sainsbury’s Entertainment for just £12.99. Bargain! 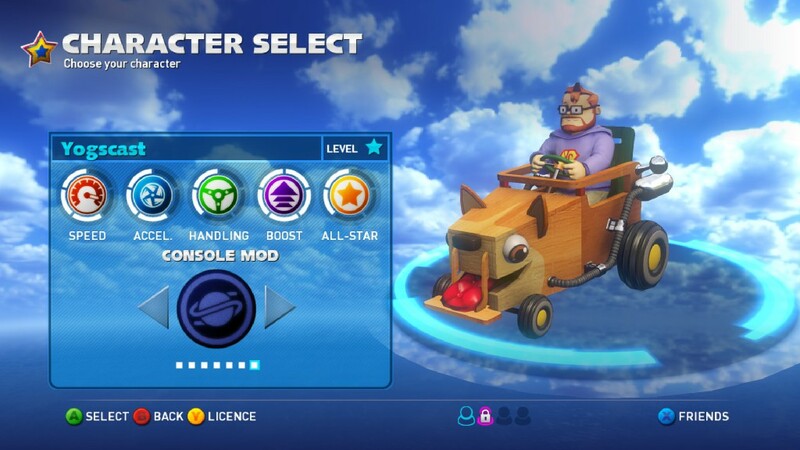 Alongside a 300MB update, PC owners can now download Simon from Yogscast as a racer in Sonic & All-Stars Racing Transformed. 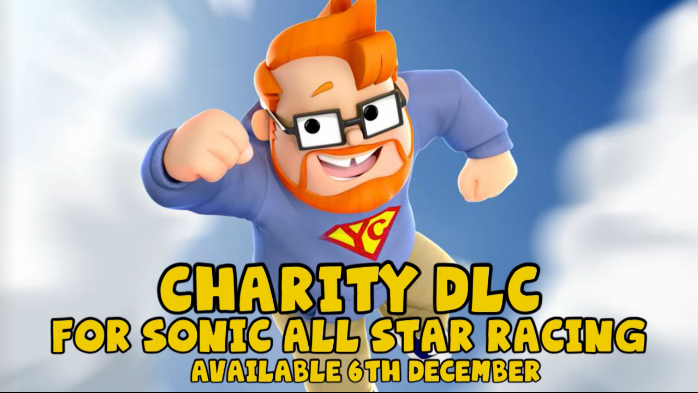 The DLC pack costs £2.99 and all money raised goes to the chairty Special Effect, who you might remember from this years Summer of Sonic? Yogscast, the UK’s most watched YouTube channel, run an annual charity drive for the month of December. This year, they are teaming up with SEGA and taking the drive to the next level in a race against the fastest Hedgehog in the world. 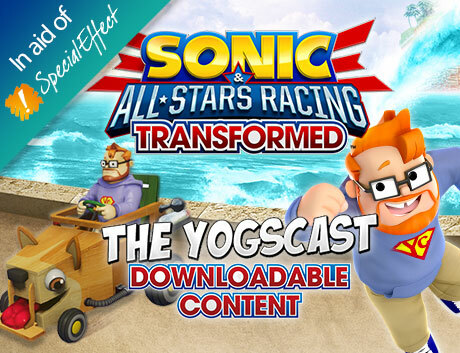 The Yogscast’s very own Simon Lane, aka Honeydew, is now available as a brand new DLC character in Sonic & All-Stars Racing Transformed™ with 100% of all SEGA and Yogscast proceeds being donated to the SpecialEffect charity. 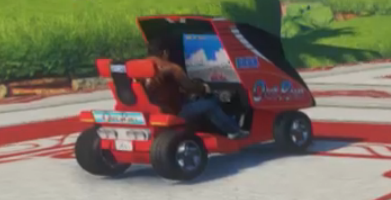 No video of Simon is out yet, however a few images were posted to the Steam product page showing off his vehicle in full which you can see at the end of this update. So if you’ve not donated anything to charity yet and have been considering it, why not buy this character? You’ll be donating to a good cause and get something to play with at the same time. Steam’s Autumn sale is currently underway and among the savings is an incredible offer for the entire Sonic collection – just £9.99 for 14 games, old and new, along with their respective DLC in the case of Sonic Adventure 2, Sonic Generations, and Sonic & All-Stars Racing Transformed. Individually, the price of these games would total over £100, so this is an absolutely fantastic deal if you don’t already own the entire collection. You’ll have to act fast though – the sale is only on until tomorrow, so head on over to Steam quickly and splash your cash! 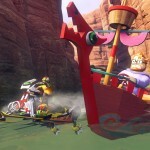 ASRT DLC: Simon From Yogscast Joins the Roster & Humble Bundle Detailed. 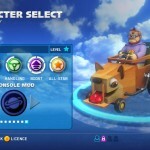 A few days ago, Sumo Digitals Steve Lycett hinted that the next piece of ASRT DLC would be controversial, PC exclusive and ‘a popcorn moment.’ Many have since speculated what this might mean, theories have ranged from ASRT being Free To Play, to certain very popular characters being included in the game (excluding the console versions) and even 1970’s Trousers Mode… what it could happen. Well… we might have found the answer. 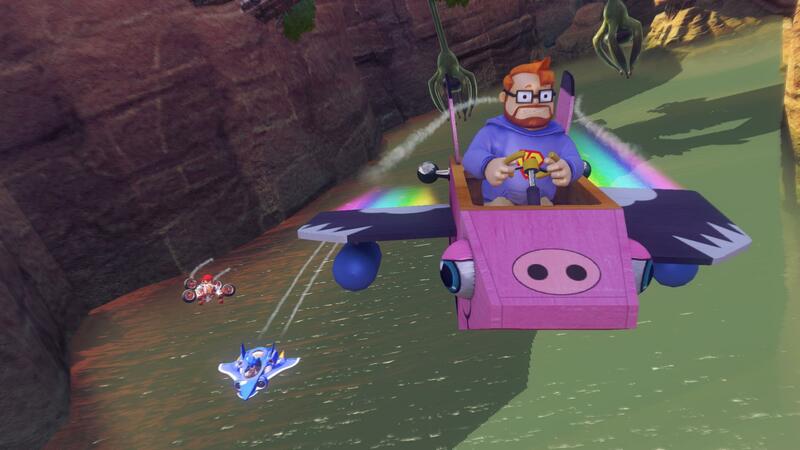 During the livestream of the very popular PC gaming channel “Yogscast,”Sonic & All Stars Racing Transformed will be included in a new Humble Bundle for charity. However the reveal didn’t end there. Simon from the Yogscast then went on to state that he himself would become a racer in ASRT and be part of a piee of charity DLC that would all go live on December 6th. 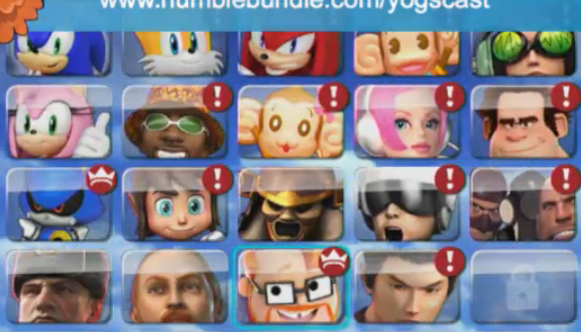 They didn’t reveal much, only that both the bundle and the DLC would be up on December 6th 2013, and that Simon would be a piece of ‘Charity DLC.’ We’re not sure at this time if Simon is the only playable character being added or if there will be others. Now before people ‘react’ just keep in mind that this is blatently a charity thing so nobody has had a spot taken away. Furthermore, S0L has hinted additional content is on the way and that this is likely the first of a few pieces of additional content for ASRT. Also think about it. ASRT on the PC, pay what you want? This is a heck of a deal! Source: HumbleBundle (Bundle not yet active at time of posting). 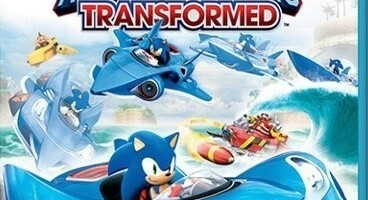 ASRTCharity DLCHumble BundleSonic & All-Stars Racing TransformedWho is Simon? As detailed in the Playstation Blog, the Playstation Vita version of Sonic & All-Stars Racing Transformed will be free to download for European Playstation Plus members from November 27th. If you’ve yet to play it, the Vita version is an excellent place to start and for the price of completely free, you can’t go wrong! That’s not the only game you get for free of course, S&ASRT joins a whole host of other games which can be found here! 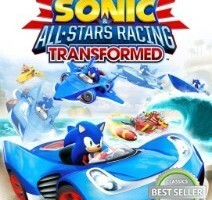 Steam Listing Reveals New DLC for Sonic & All Stars Racing Transformed! 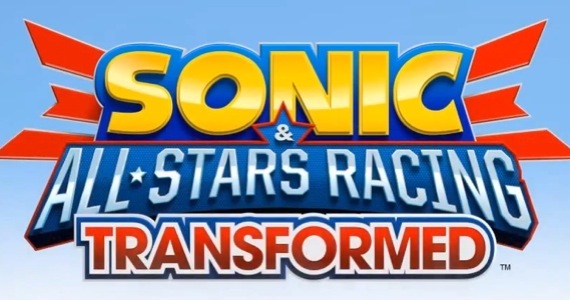 When you think about it Sonic & All Stars Racing Transformed has been out for well over a year… yet it still continues to get support and this includes free additional characters… Thats awesome! Hey videogame industry, this is how you get people to buy your future games! It looks like more DLC is on the way if this steam listing appears to be correct. 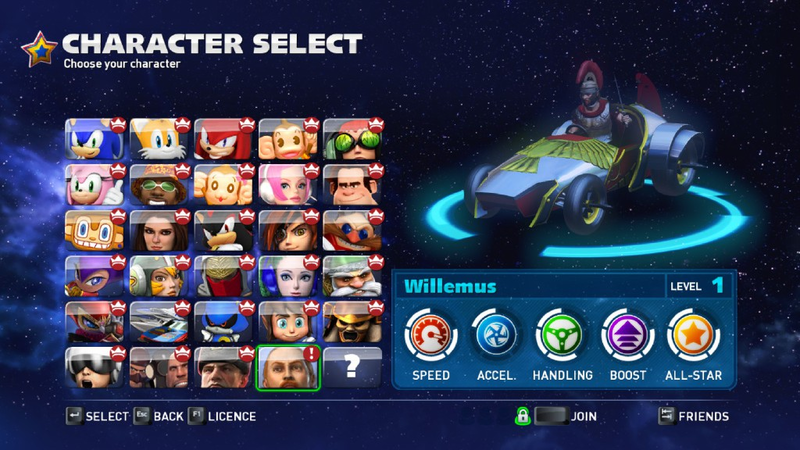 It would appear that Sonic & All-Stars Racing Transformed is to get some new DLC, but whats interesting is that previous character updates have been included in patches and updates, this is the first time that a DLC listing has been made seperately for the title. Could this be the long rumored petition characters? And will they come to consoles? Erm… I don’t know, I’m not in charge of that stuff. Stay tuned to TSS for more information as we get it. 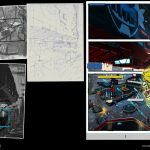 ASRT’s Fact Sheet Details New Features & Hints New Characters? 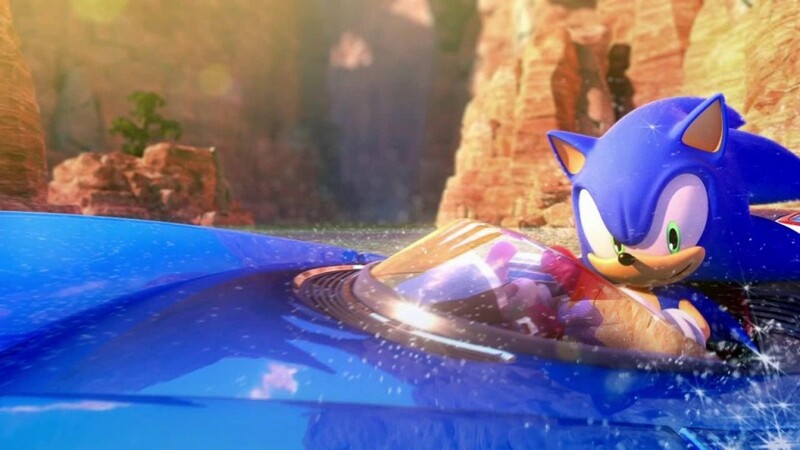 Just over a week ago, Sega confirmed that Sonic & All-Stars Racing Transformed would be headding to mobile devices and that the game wouldn’t just be a port of the console or handheld versions. Few details or specifics were given, however, Sega have released a fact sheet which does go into some details as to what new features will be included as well as one interesting note about characters. You can find the full fact sheet at the end of this update, however, the most interesting points are as follows. Social/Facebook connectivity: You can see your friends facebook pictures on the courses as you play. Daily & Weekly challenges: odds are these will be similar to Sonic Dash/Jumps challenges. But here is the most interesting point. The game has only 10 characters to start with. Which is in line with the console versions, now, aside from the PC exclusives which were included from the start or via updates, every other character could be unlocked via world tour mode (exceptions are Alex Kidd and Metal Sonic). But the Fact Sheet claims many more All-Stars coming soon! Suggesting that there will be more characters included at a later date? It’s Not Just Racing… it’s Racing Transformed! 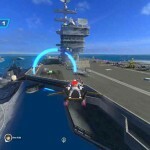 Take to land, sea & air as you race through dynamically changing courses. Discover alternate routes, find new power-ups and avoid emerging hazards as you race to victory – every track feels different. A brand new World Tour designed for gaming on the go, plus all-new Daily and Weekly Challenges to test your racing prowess. Take on your friends in ultracompetitive 4-player races, both online and locally. Plus challenge your friends’ best times to show them who’s best. Comprehensive Facebook integration – see your friends’ profile pics on the track. 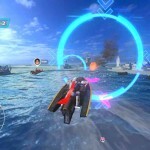 Has Sonic & All Stars Racing Transformed Been Censored? 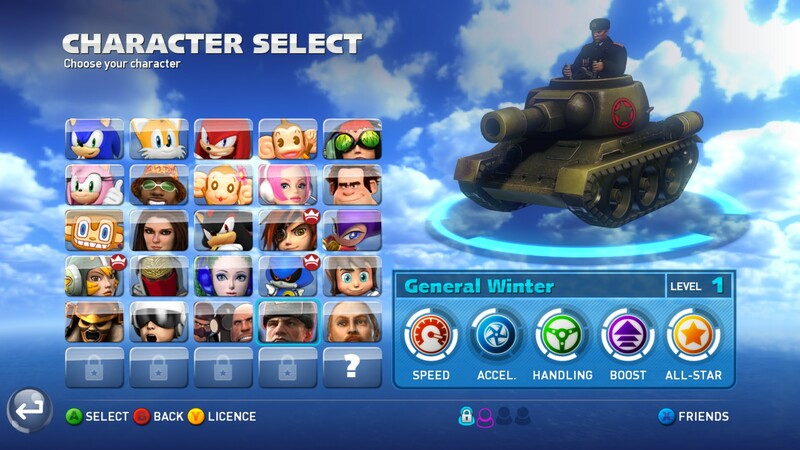 Earlier today, the PC version of Sonic & All Stars Racing transformed recieved an update which added a new character… however, eagled eyed players have also discovered another really strange change. 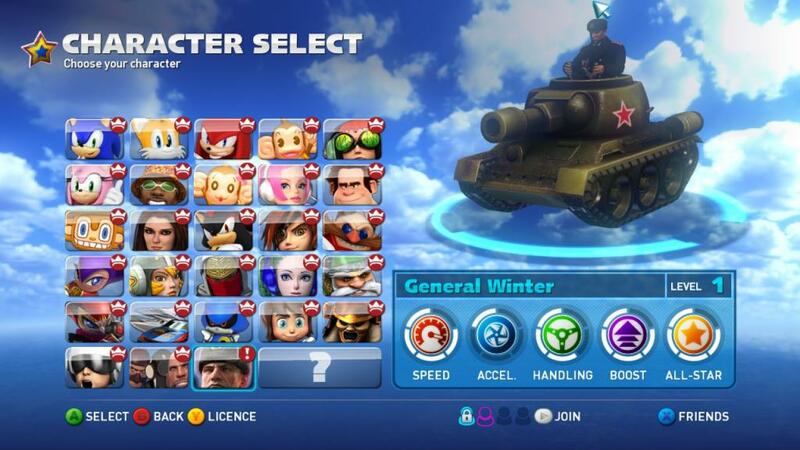 It’s removed certain aspects of General Winters character. Specifically, the Hammer and Sickle and the star which was on his vehicle. Check out the above image, now compare it with this one. See the star on his tank, completely different. So whats going on? Well… theres no official word on this change right now, however the removal of these images would certainly indicate that someone somewhere has looked at this and said ‘thats offensive’ and demanded it’s removal. The question is who and why? My theory, and again, this is just my theory since nothing official has come out to explain this change would be this… There are certain marketplaces in the world which have various rating boards and censorship boards which can ban or limit the release of certain pieces of entertainment. Because videogames can be a constantly changing and evolving media, which ASRT has been, it can fall under the rating/censors light again. My guess… ASRT’s inclusion of communist imagery has made one ratings board complain and ask for it’s removal, threatten to pull the game from sales, or it even threatten to increase the age rating which would greatly limit sales… you lot still wonder why Bayonetta isn’t in the game? Recently news has come to light to suggest that Sony’s ‘The Last of Us‘ has had it’s mutiplayer mode slightly censored/toned down’ due to the ratings board. And people in America had to do without the jokers full fatality in Mortal Kombat Vs DC Universe. From a business perspective I can understand it… however, as someone who doesn’t like censorship, I can’t say I’m too happy that he has been changed in this way. So was anybody here offended by the General? Well this came out of nowhere! 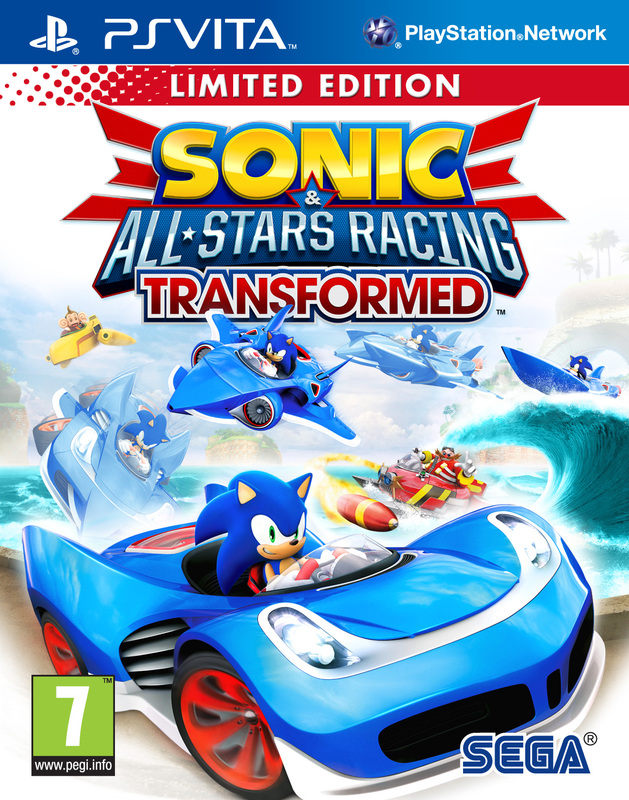 A new update for Sonic & All Stars Racing Transformed just went live on the PC version of the game which includes a new character! He’s called Willemus and he appears to be from Segas Rome 2: Total War, which is due for release later this year. It’s doubtful that this character will make it to the consoles since Rome 2 is a PC exclusive game, though it does make you wonder if any other Sega games will see inclusion into this game following so soon after Company Of Heroes’ General Winter. 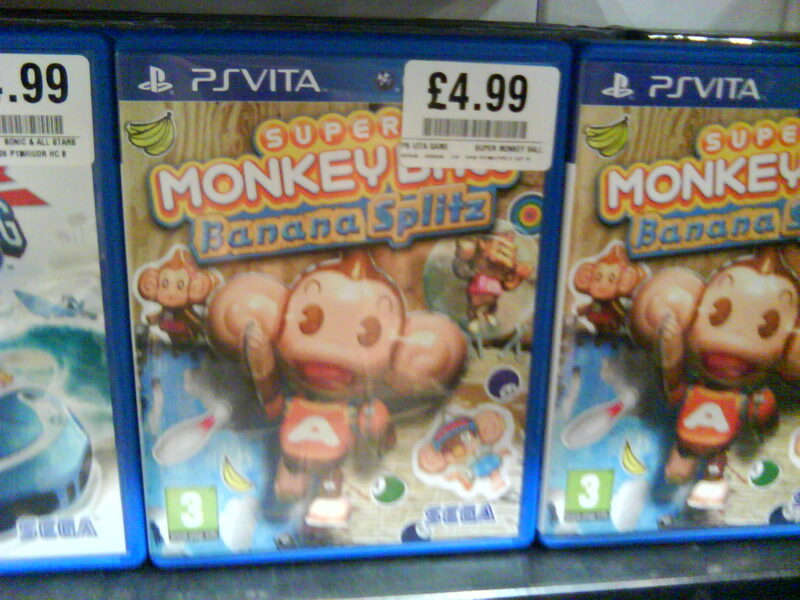 High street retailer HMV has heavily discounted two of SEGA’s 2012 releases in store, namely Sonic & All-Stars Racing Transformed (Wii U) and Super Monkey Ball Banana Splitz (PS Vita). The former can be snatched up for just £7.99 and the latter for the extremely low cost of £4.99. At those prices it would be rude not to buy. UPDATE: The game will be available via the 3DS eShop in Europe this Friday for £29.99. We’ve also added ten new screenshots to our gallery. 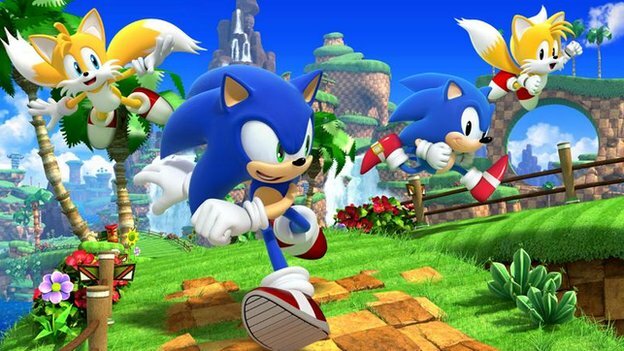 SEGA has finally spoken out about the Nintendo 3DS version of Sonic & All-Stars Racing Transformed on their blog. The post on said blog has revealed that the game will include 22 characters (including your Mii character), with over 20 tracks and arenas to explore. 3DS specific features include StreetPass challenges and features and multiplayer with up to seven of your friends using multi cart or single cart play. New DLC Characters Coming to ASRT? Continue reading New DLC Characters Coming to ASRT? 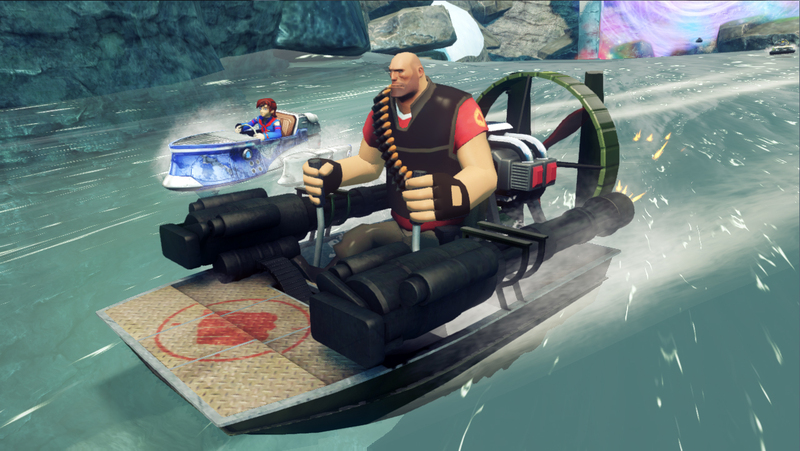 Yesterday Sega announced that the PC version of Sonic & All Stars Racing Transformed would include several new characters such as Shogun & Team Fortress 2. To accompany this, Sega have also released several screenshots and new character artwork. ASRT PC: Specifications & Release Date Found? Update: Well it seems that information about the PC version is now flooding out. According to Green Man Gaming we not only have the minimum technical requirements but a release date too. Release Date: January 31st 2012. That’s a Thursday, which would be accurate if this is the EU/UK release date. Original Story: So according to the above information, it would seem that the PC/Steam version of ASRT might not be too far away. 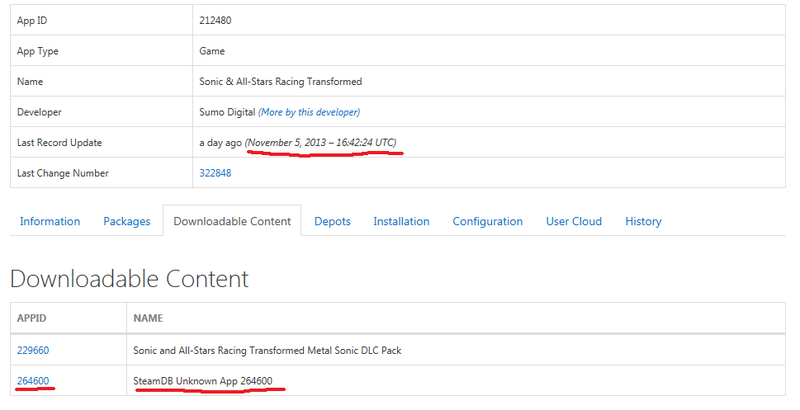 Dug up by Sonic Scene admin and SSMB user Woun, it would appear that not only is ASRT in the Steam database, but there are several purchase options including a 4-Pack and Gift. Sonic and Danica get into more mischief in this “driver’s ed” ad in which they try to show you the proper way to handle being in an accident mainly by throwing garbage at each other and running over monkeys. Hey AiAi, you have a car too y’know? Heck, you at least have a giant ball you can crawl in for some protection man! 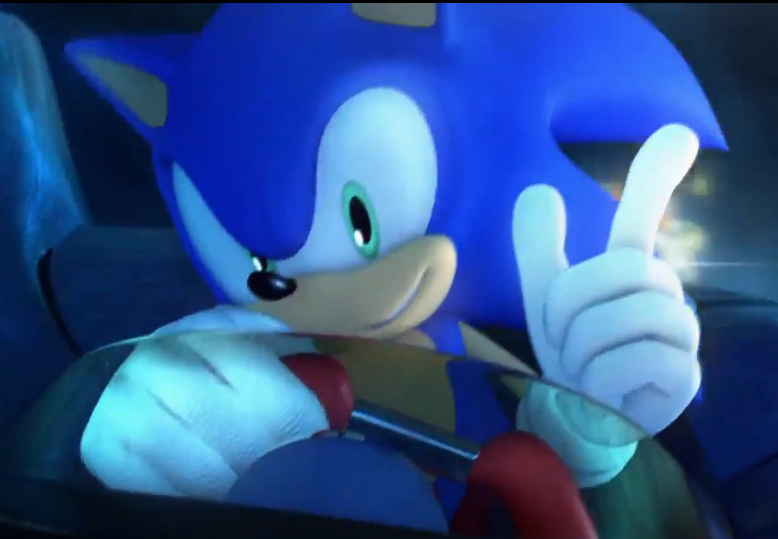 I wonder what he did to piss off Sonic so badly? Enjoy. 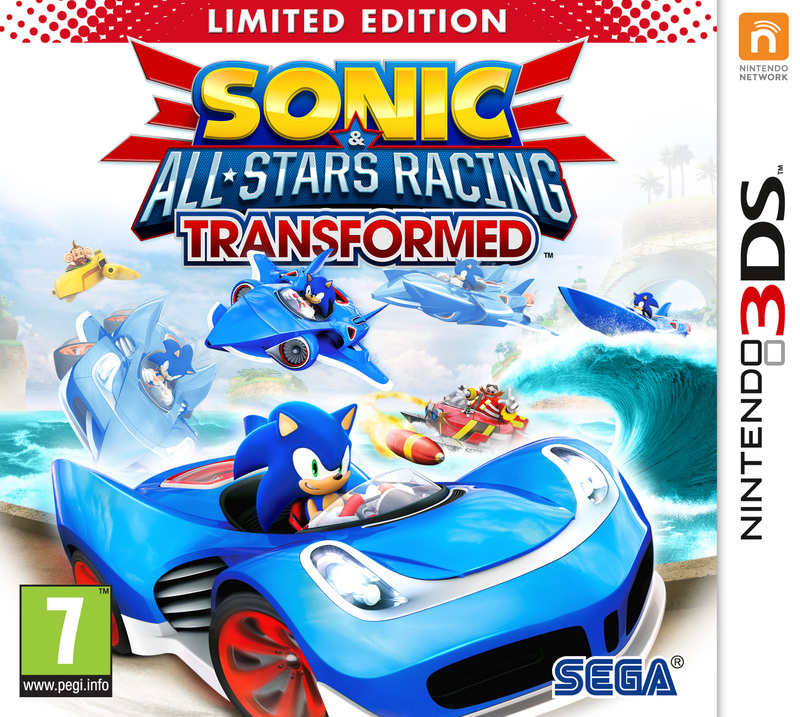 Retailers have been listing another delay for Sonic & All-Stars Racing Transformed on 3DS for a little while now, but in their new release schedule, Nintendo has confirmed the delay to February 2013 for Europe. US and Australian retailers are also listing a delay to February 2013, so expect a delay in those territories, too. SEGA hasn’t commented on this fresh delay, with their website still saying it’s out now in Europe and Australia, and will release December 11th 2012 in the US. The PS Vita version has been quietly released in Europe today, still without release date information, game details, screenshots and video from SEGA. If that’s anything to go by, things don’t look promising for the 3DS version. 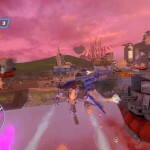 S&ASR Transformed PS Vita Out This Friday in Europe, Delayed in US Again? Retailers have been listing the PS Vita version of Sonic & All-Stars Racing Transformed for release in Europe on December 7th 2012 for a while, but now Sumo Digital’s Steve Lycett aka S0L has confirmed the date at our very own SSMB. A post by SSMB member BlueTidalGamer reporting on his copy being despatched reaffirms this. 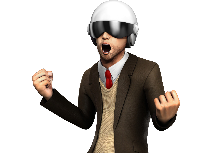 My copy of the Vita version has dispatched from ShopTo. SEGA Europe still hasn’t announced a date and both their website and press site to this day still say it and the 3DS version have been out since November 16th 2012 with the PS3 and Xbox 360 versions. 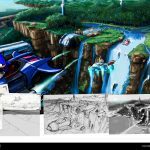 As for the US, Lycett says in the above quoted post that he’s waiting for confirmation of a release date from SEGA of America. With retailers listing a new date of December 18th 2012, this indicates that the PS Vita version may well not meet its originally announced release date of December 11th 2012, though SEGA of America’s website is still listing that same date. As anyone who has been following the release of Sonic & All-Stars Racing Transformed will know, while the 360/PS3 versions have been lavished with praise almost universally, the same cannot be said for the Wii U version, which has instead been plagued by game-breaking bugs that have made the World Tour mode impossible to fully complete. An update on the Wii U too, SEGA have confirmed the issues are fixed and it’s currently over with Nintendo. We’re hoping it will go live very soon! So, hold tight, Wii U owners – if all goes to plan you’ll be playing a fully functioning version of the game in no time! With any luck, the patch will also be released in time for (if not to coincide with) the European release of the Wii U this Friday, 30th November. We here at TSS will let you know when the patch arrives – we’re jolly nice chaps like that! In the meantime, have you read our review of the 360/PS3 version? Want to know what we think of the Wii U version? Stay tuned for a review of it soon after the UK launch…! 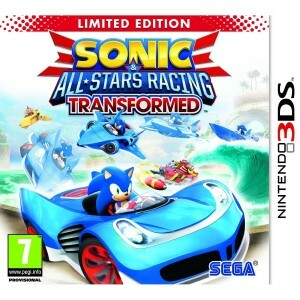 Sonic & All-Stars Racing Transformed 3DS Delayed Again to Jan/Feb? 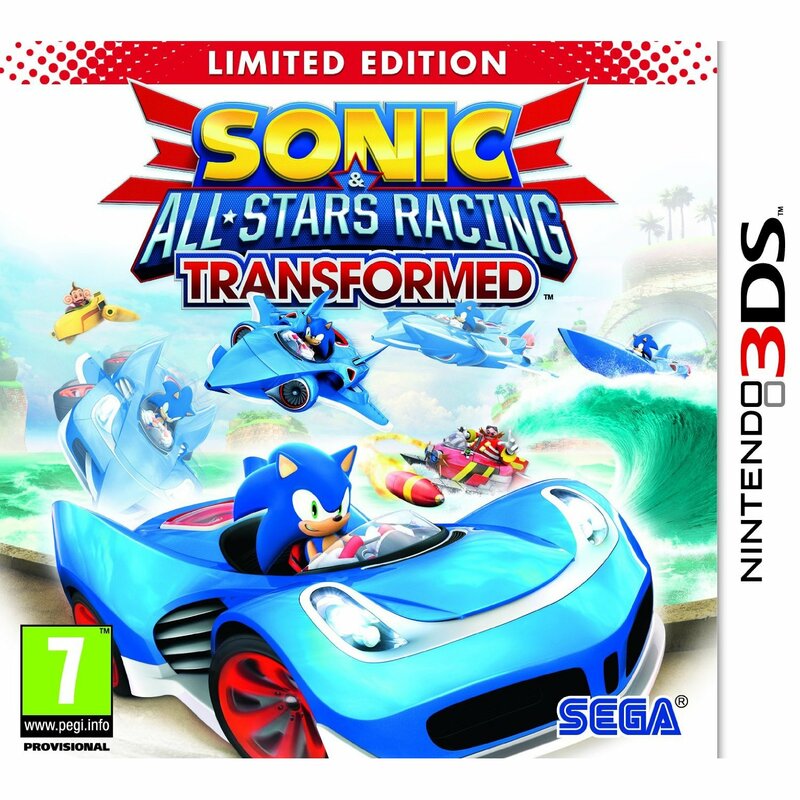 Fans looking forward to the Nintendo 3DS version of Sonic & All-Stars Racing Transformed may have to wait a little longer if updated retailer listings are anything to go by. The game was already delayed a while back in the US to December 11th, while Europe and Australia have been left hanging with no date and SEGA’s website still saying it’s “Out now”, though retailers have been saying December 6th (AU) and December 7th (EU)… until now. Amazon and GameStop websites in both the US and Europe have updated their listings for S&ASRT 3DS to various dates ranging from January 25th 2013 to February 15th 2013. Could the game be getting delayed again? With an extreme lack of news and media for this version of the game, it wouldn’t be surprising if the game isn’t ready and needs more development time. We’ll keep our eyes open for an official update and pass on anything we learn. Thanks to our anonymous tipster and Thigolf at the SSMB for the heads up! An unlockable Christmas gift has been found in Sonic & All-Stars Racing Transformed by changing the system date to December 25th 2012. The Sonic Stadium has tried this out on the Xbox 360 version and can confirm it works when the Xbox 360 console is not connected to Xbox Live, however, we do not know if this works on the PS3 or Wii U versions. UPDATE: Gagaman in the comments has confirmed it works on PS3, too. UPDATE 2: Pete in the comments has confirmed it works for Wii U, too. To find out what the unlockable is, click the jump, but don’t say we didn’t warn you if you don’t want your Christmas gift from SEGA and Sumo Digital spoiled. With 9 days to go until the game’s Australian release and 10 days until its European release, fans looking to pick up the 3DS and/or PS Vita versions of Sonic & All-Stars Racing Transformed really want to know if the game will see a delayed release like in the US or not. The delay was announced a month ago by SEGA of America, but SEGA Europe hasn’t announced a similar delay here in Europe or Australia. Their European press site, website and recent press releases all still list the handheld versions for a November 16th release. To clear everything up, Sumo Digital’s Steve Lycett aka S0L has revealed at the SSMB that the team are still working on the handheld versions and so a November 16th release is unlikely. Lycett says they will release slightly later than the console versions. Given we’re still working on it, 16th November UK release is unlikely. I think SEGA either have or are due to announce the handheld dates over here, they’re slightly later than the home console versions. Lycett also confirmed that the PC version will release later than the console versions, too. Again, I can’t say much here, it’s SEGA call to announce dates. All I can say right now is it’s going to after the console release date, but that’s all I can say. 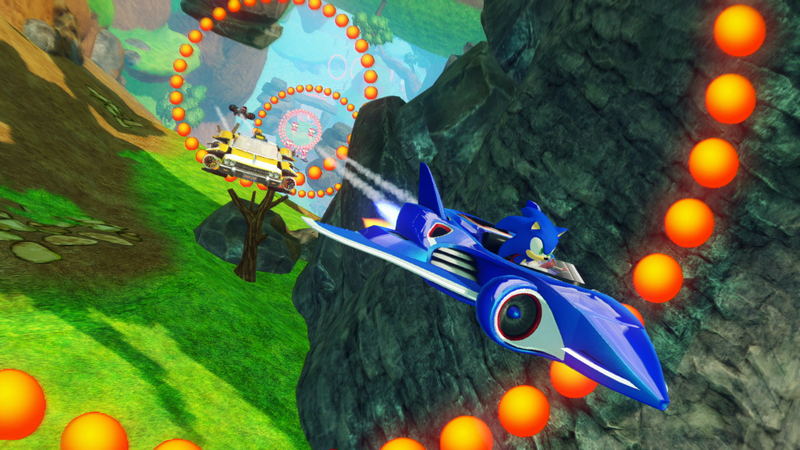 Once SEGA announces release dates for Sonic & All-Stars Racing Transformed on 3DS, PS Vita and PC, we’ll let you know. 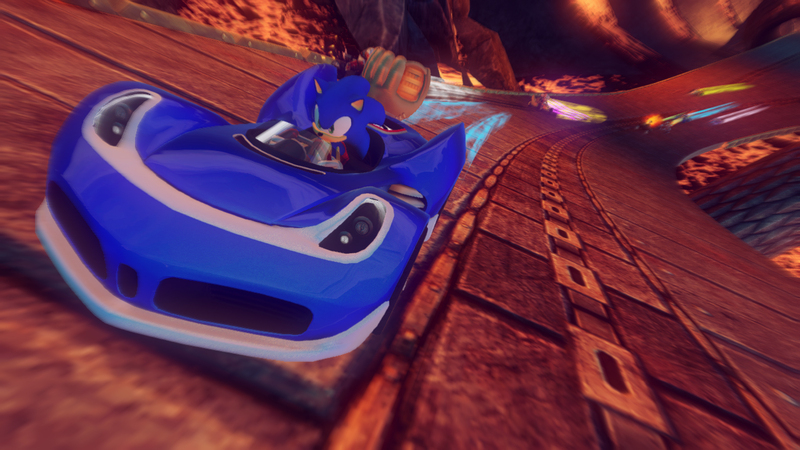 Sonic & All-Stars Racing Transformed will be gracing consoles, handhelds and PC soon, so we’ve rounded up all of the retailers taking pre-orders for the game and their prices to let you know who has the cheapest deal on your platform of choice. Hit the jump for the list. 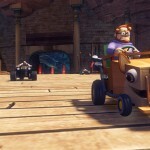 Following the Danica Patrick-focused trailer, SEGA has released a Wreck-It-Ralph heavy trailer for Sonic & All-Stars Racing Transformed. Lots of gameplay footage is on show with some hilarious voice acting such as Ralph asking the internet favourite question “Hey, Sonic! What are you doing in a car?” You can check out the trailer in the video above.